Home Apple Xnspy: Is This the Best iPhone Spying App in India? Xnspy: Is This the Best iPhone Spying App in India? Spying apps are getting popular in India with rampant use of smartphones. People are more and more concerned about the harmful sides of these tech devices and that’s encouraging them to take precautionary measures. With the increasing digital risks, the use of monitoring apps seems justified. 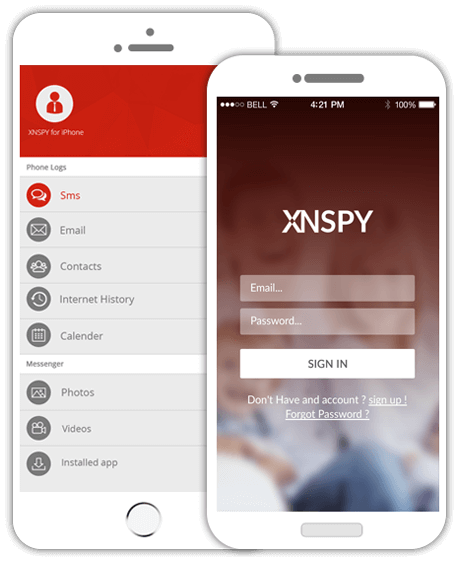 Xnspy is a cloud-based iPhone spying app that has all the features of any modern spyware. It is also faster and easier to use. Let’s explore more about the app. You can check about this XNSPY review article to learn more about it. Device compatibility is Xnspy’s USP and accounts for much of its popularity. At a time where most software specialize in a single platform, Xnspy has built separate versions for iOS and Android. Further in iPhone, there are different versions for users with jailbroken and non-jailbroken devices. For jailbreak users, the phone supports iOS 9 and its previous versions. But due to the secure nature of iOS, all the versions after iOS 9 could not be jailbroken. Apple updates its operating system quite frequently and it is tough for the app developers to stay in line with the new changes every year. The best thing about an Xnspy user would be that it supports the latest iOS 11 up to 11.3.3. Basic: This package has all the basic features as its name suggests. The Basic package is for minimal spying/monitoring. It will give you access to the call history, incoming and outgoing SMS, contact list, etc. But the price is also quite affordable. You can use this bundle by paying as low as $8.33 per month. Premium: The premium features are only available on the Premium package. While this package includes all the premium features, you still do not pay over the limits for using them. You can use these premium features by paying as low as $12.49 per month. With the features and affordable packages, the app is well worth the price. Setting up the app is not difficult. You do not need to make a lot of changes to the device. You will start by visiting the website Xnspy.com and subscribing to the app. After the subscription, you will receive an email to your registered email ID with some instructions and login credentials. For a no jailbreak phone, you do not need to install the app on the target phone. Just make sure that iCloud is enabled on the target iPhone and pair the device with the app by using iCloud credentials of the target iPhone user. Once the app syncs with the phone, it will start importing the information to your Xnspy account. Trying out Xnspy iPhone spying app is as easy as downloading an app on a smartphone. After you have paired the app with the target phone, the app takes 48 hours to sync the data and import it to your Xnspy account. Once you log in with your Xnspy account using the credentials sent to your earlier, you will see a screen which is known as Xnspy Dashboard. The dashboard is an all-in-one interface that allows you to access all the features and monitored information. You will find the dashboard interface easy and simple. Although it looks compact, it still displays all the features in a clutter-free way. Xnspy uses a simple design. The largest column on the left is devoted to the features. The center of the screen display account information on the top and features last known location and recent contact of the target phone. Xnspy iPhone spying app has many features for monitoring an iPhone device. Here are some of its highlight features. Location monitoring: Location monitoring is one of its premium features that allows the user to keep an eye on target phone’s location in different ways. For example, if you want to know everything about the phone’s location and what places the person checked in, then you can go and check location history logs in your Xnspy account. If you are busy and want to be notified of only specific locations then you can set the monitored locations names in the Watchlist places. You will be notified whenever the target enters or leaves those places. 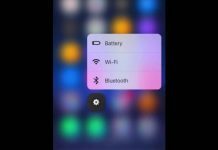 Remote monitoring: Remote monitoring is another premium feature that allows you to control the target iPhone in different ways. If you remotely want to listen to the surroundings of the phone, you can use the ambient recording feature of the app that provides a 30-minute recording of the phone surroundings. Similarly, if the device is lost or you think the target iPhone is in the wrong hands, then you can remotely wipe the device data. The app is a good value for money with the quality of features it offers. Its compatibility with the latest iOS 11 makes it one of the top iPhone spying apps in the market. Besides, setting up the app is also easy. The interface may seem a bit overdone to some due to the red accentuates. The app does not give any trial version. But it makes up for it by offering a live demo on their website. They could also consider increasing their ambient recording feature’s time limit. If you are looking to use the app on an iPhone for monitoring purposes, then Xnspy is the app for you. The app tackles just the right number of tasks and operates in a way that feels effortless. There are some limits to the app, which makes sense. But overall, the app is a good value for money and worth using.